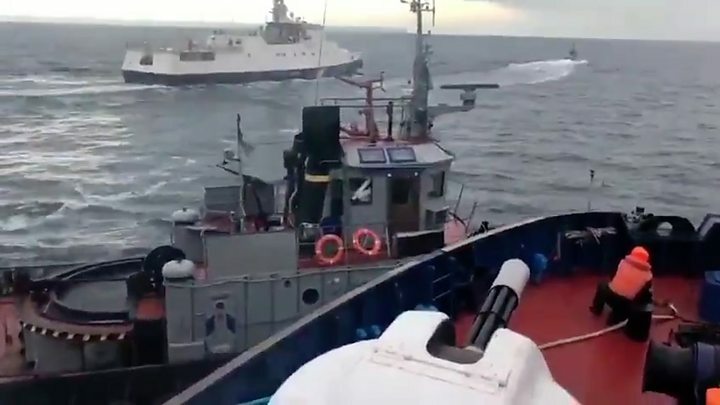 Ukraine's parliament is to decide whether to bring in martial law, after Sunday's capture of three of its naval vessels and 23 crew members by Russia. Ukraine said it was a Russian "act of aggression". Moscow said the ships had illegally entered its waters. On Monday, Ukrainian President Petro Poroshenko said he was proposing that parliament back a 30-day martial law - half the length of that recommended by Ukraine's security and defence council. Sunday's clash is the first time Russia and Ukraine have come into open conflict in recent years, although Ukrainian forces have been fighting Russian-backed separatists and Russia volunteers in the east since 2014. A number of Western countries condemned Russia's actions. In New York, the UN Security Council met to discuss the crisis - but failed to agree a Russian-proposed agenda amid sharp disagreements between Moscow and the West. 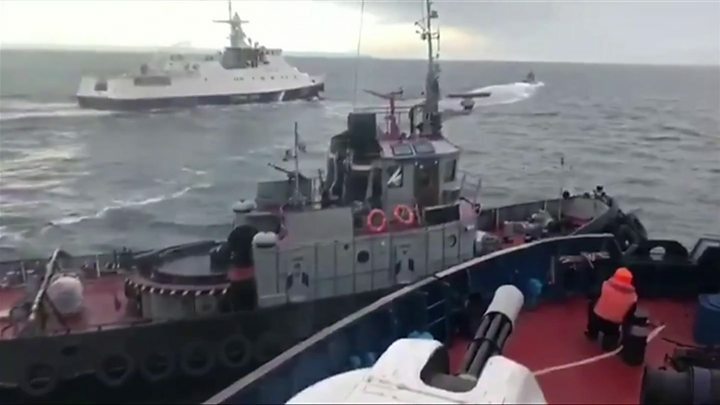 Kiev called Russia's actions a flagrant violation of international law, because the Black Sea is free for shipping, and Crimea belongs to Ukraine. It said it had informed the Russians in advance of its plan to move its ships to Mariupol - a claim denied by Russia. Nato and Ukraine's allies in the West have strongly backed President Poroshenko. But what can they do to influence Russian behaviour? There will be talk of more economic sanctions. But Russia is already heavily sanctioned, and this has not encouraged it to rethink its annexation of Crimea. There will be calls for additional support for the Ukrainians; Nato countries provide training for Kiev's military - they could presumably do more. But there is a difficult balance to be struck between support for Ukraine's territorial integrity on the one hand and avoiding anything that might tip the conflict into full-scale war. 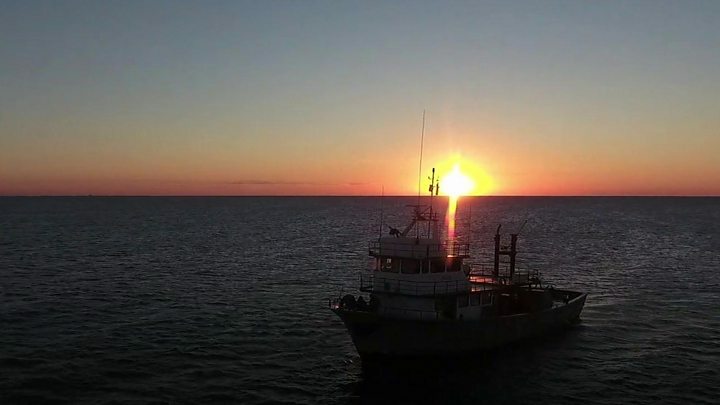 Ukraine has accused Russia of trying to occupy the Sea of Azov and damage Ukraine's economy by hindering access its ports. What could martial law in Ukraine involve? Martial law could give the government the power to restrict public demonstrations, regulate the media, suspend elections, and oblige citizens to carry out "socially necessary" tasks such as working at a defence facility, local media report. Ukraine's parliament is discussing how to proceed with the issue. A vote is expected later on Monday. In 2014, Ukraine's pro-Russian leader was overthrown, after large-scale protests against the government's decision to abandon plans to sign an association agreement with the EU.